We’re all more than familiar with mobile wallets by now. With Apple, Android and Samsung Pay turning our phones into wallets, you can definitely survive if you’re stranded in town, parched and hungry, with only your phone to keep you alive. Of course, we’re not referring to calling your mum to come to your rescue. The convenience that a mobile wallet brings to the busy Singaporean is extremely attractive, and this comes as an addition to contactless payment (for example, Visa payWave) systems, in which users can simply tap their credit cards to purchase items. No more standing in odd positions to block someone from seeing your PIN! And its popularity has been proven. According to Visa’s 2015 Consumer Payment Attitudes Survey, 58% of Singapore consumers said that they would rather use mobile wallets for in-store purchases as compared to paying with cash. Faster transactions (71%), ease of use (55%) and not needing to have cash on hand (47%) were cited as top reasons for the adoption. Banks and credit card companies have also reported a significant increase in the use of mobile wallets, especially among the younger working crowd and the rising affluent, which are generally more receptive to new lifestyle technology. However, having a mobile wallet, albeit being more efficient as compared to taking out your cash and coins, still leaves you stranded in long queues and waits to order and make payment. This is where WAAVE intends to come in. 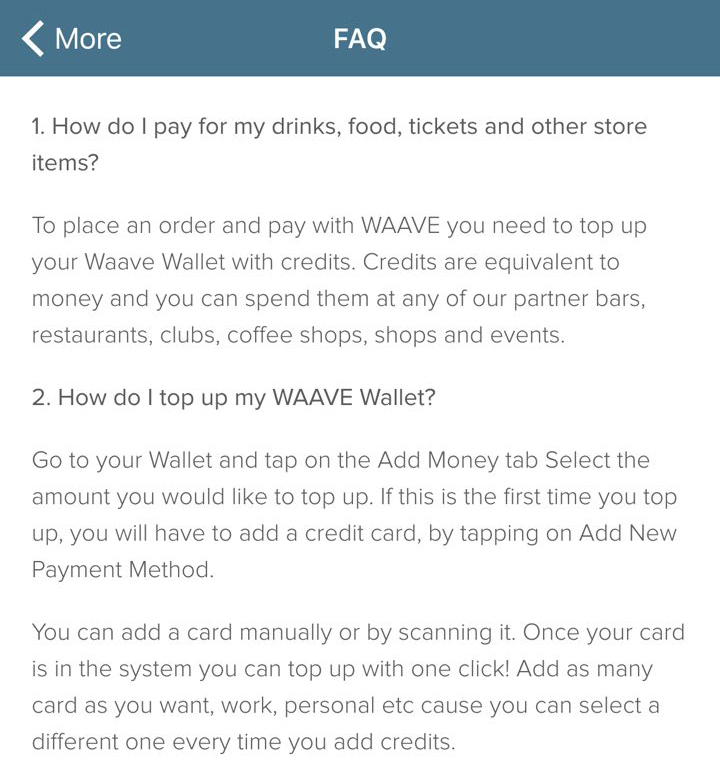 WAAVE is a social mobile wallet app that aims to do many things to further enhance your usage of mobile wallet technology. 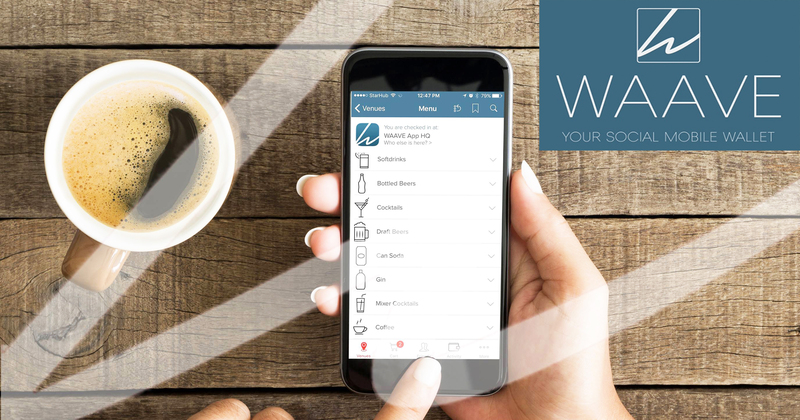 With a promise to let you have “less waiting, more joy”, the app allows you to make your orders and pay – all you need to do is walk up to the counter to collect your item when it’s done! 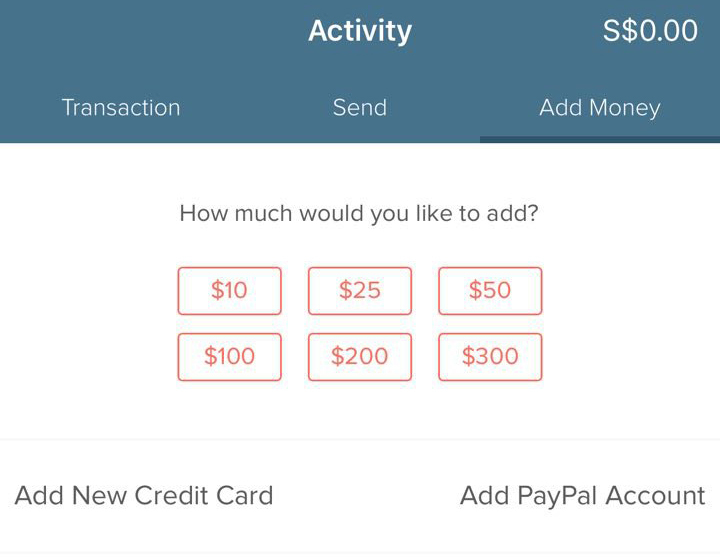 Your transactions would also be logged in the app, so you know exactly where all your money is going. Not only for bars and restaurants, the app can also be used at events, so you can have more time to party as compared to spending it sweating away in long, never-ending queues. Attendees used the app to order their drinks and food, and the queues at the stores remained nowhere to be seen even though everyone in the video looked well-fed and happy (probably due to the beer). Personally, I think that this is definitely a wonderful idea for events and large-scale festivals especially. I remember the time when I attended one (not going to name-and-shame), and my entire experience was ruined because the food queues were simply horrifying. What’s worse, when I finally reached my turn to order, what I wanted was sold out! Food being sold out due to popular demand is something I understand, but the time wasted hoping I could get my hands on it is simply infuriating. WAAVE also wants to be ‘social’. How the app does this is that it allows you to send drinks to your friend using your credits. Think about it this way: you’re at a bar you think your BFF would love, but unfortunately, he/she is overseas on a work trip. As a sweet gesture to reward, and at the same time introduce him/her to the place, you can use your credits to order a drink for future collection. Unfortunately, this only works if said BFF also has the app. And from the dismal looks of my friends list, I guess all the drink credits will be going to me instead. More Secure Than Other Mobile Wallets? The prospect of losing one’s phone and thus rendering the stored credit cards as a free-for-all is still a fear Singaporeans have. This is where app WAAVE intends to come in with its credits system. It aims to provide a more secure way of payment, by implementing a top-up system on your WAAVE wallet. So what this means is that just like having dollar bills in your leather wallet – whatever amount purchased via the app is simply what you put into it. Honestly, for a paranoid wreck like myself, this system, albeit tedious, does feel much safer to me. However, after reading their FAQ, I realised that the credit card details I’ve entered would be stored, and top ups can be done “with one click”, so I’m not so sure about how secure it will be after all. Itching to try it out, I downloaded the app to see what I could do with it. 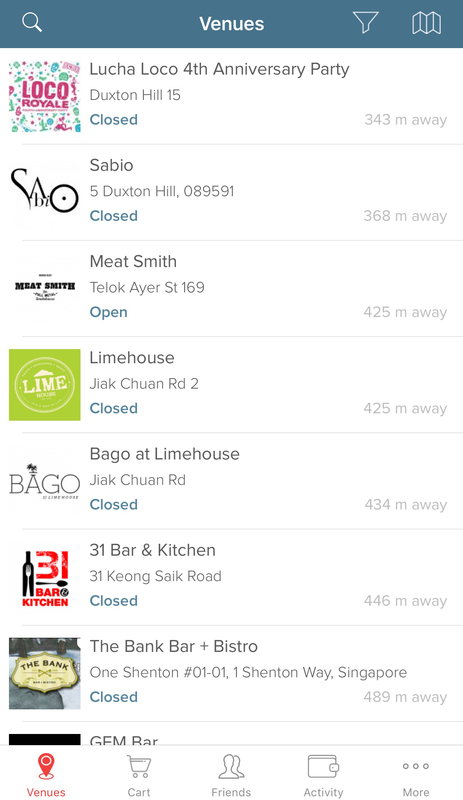 Most of them were bars, so it’s understandable that they were closed at time of writing (11am). However, Meat Smith was open, so Meat Smith it was! 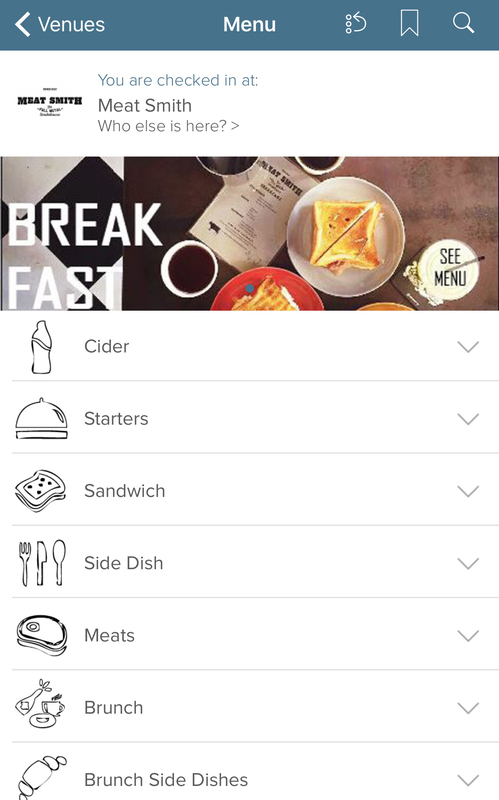 There was an impressive list of items available, from full meals to drinks, and reminded me of food delivery apps – except this one doesn’t have that service for bums like myself. There is still an applicable 7% service charge, and you can either choose to pick it up, have a waiter bring it to your table, or grab it and go if you have somewhere else you need to be. 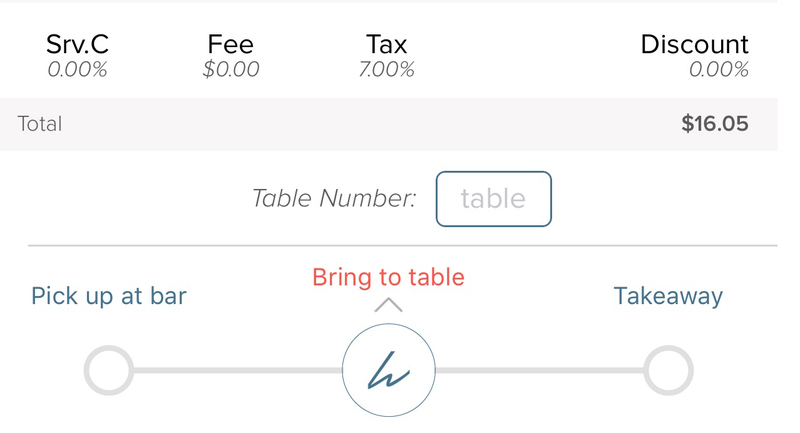 To be honest, if I were to dine in the restaurant, I might actually choose to order my meal via the app, because I won’t need to pay the usual 10% service charge! 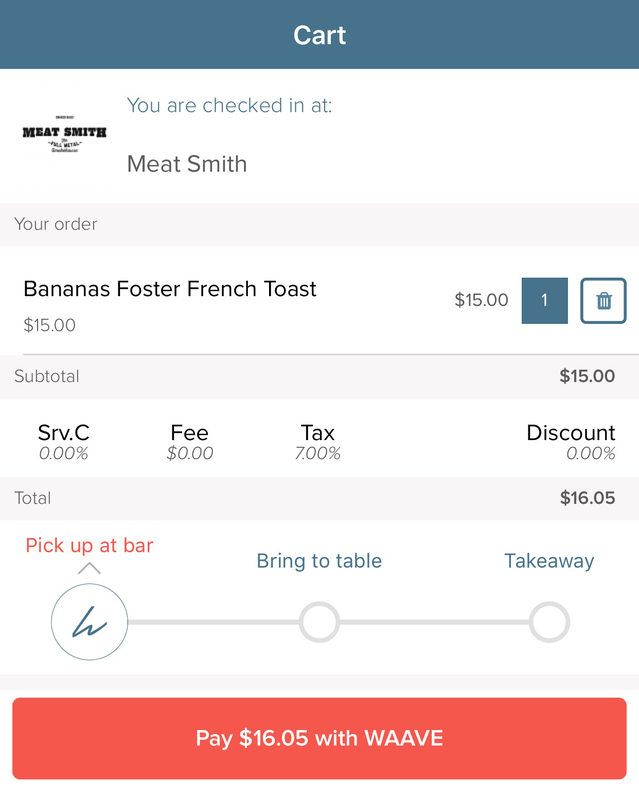 The app also promises no service charges or fees, though some (like Meat Smith, whose pancakes actually cost $14 if ordered in the shop) might charge a small convenience fee. Personally, I’m more excited for it being used during events and festivals, because waiting to order and pay at restaurants isn’t that big of a deal for me. Placing an order in advance for takeaway is definitely something I think would be useful on busy days, though. Also, I still don’t think the system is safe enough if I can top with “with a click”. I would prefer a system that requires me to enter my details and authorise top ups each time I do so. 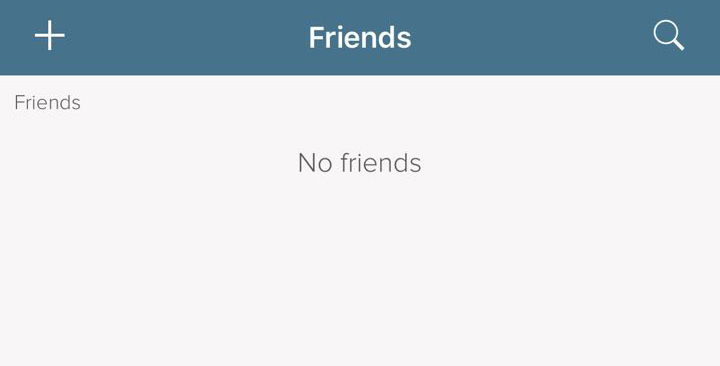 Lastly, to make it a truly ‘social’ app, the WAAVE team would need to work on getting more to download and use it – where’s the social when there are no people? Interested? Download WAAVE for iOS and Android.